To some folks, the very word “immigrant” is what the color red is to bulls: they attack, no matter what! They attack left and right, men and women (and children too). They attack despite solid statistics that show immigrants add jobs, start new businesses, create value, and strengthen our bonds with other countries/cultures: the bulls of intolerance are impenetrable to reason. Taking a closer look at what actually makes the bulls to charge, we learn that it’s not the color of the red matador’s cape but its provocative movements—because in reality, bulls are colorblind. Plus, the bulls used in bullfights are raised to be very aggressive. The Spanish tradition of running of the bulls in the streets at the season’s opening makes adrenaline rush as the daredevils running with the bulls are pursued by 1,000-pound animals stampeding down a quarter-mile course. Anti-immigrant attitudes and actions may be just as exciting (plus politically beneficial), and certain states legalize anti-immigrant regulations. But running with anti-immigrant prejudice is not America’s true face. One of the few Americans I met when I lived in the former Soviet Union was John H. Brown, then a US Cultural Attaché in Ukraine, who came to speak with my students at Uzhgorod National University. The way John presented America imprinted in the memory of his listeners forever: first, he asked them if they knew “what America is all about”, then showed a one-dollar bill. He pointed to the phrase, “E Pluribus Unum” (“Out of Many—One”); “this is the essence of America,” he said, “for my country embraces many diverse ethnicities while it is One Nation under God.” Impressed by his passion and pride in the United States, I still believe John’s description mirrors the true face of America, and that immigrant inclusion is not “mission impossible” after all. The USA, a country of plenty with its “abundance culture,” still needs a few things: jobs, global mindset and more of the true grit that led our nation through thick and thin in the past—which we need more than ever now, with all the trimmings. With three University degrees, Hannah came from Denmark in 1990, settling in California and then founding her company, ALOM Technologies. Now she has 90 employees plus 100 contractors. In Denmark, she’d been a well-known columnist for Denmark’s largest newspaper and had run for Parliament. Getting replanted, losing her “rolodex” of connections and friends was not easy. Handicapped by a new language and new context for conversations, Hannah made multiple steps to learn American metaphors and reduce her accent. She says, “I spoke poor English – it was my job to fix it.” She also worked hard to absorb knowledge of American business practices and then brought an inclusive Danish management style to her company creating a positive, compassionate, yet goal-focused team environment. Hannah is grateful for having the opportunity to make a difference. 2.Global mindset: The Case of Maya Strellar-Migotti. Maya, a VP at Ericsson, is another European who put down firm roots in this country. 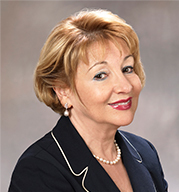 Originally from Croatia and fluent in four languages, she was a career expatriate in four countries before the US. Her job was to integrate a newly acquired company into Ericsson—a daunting task. Even so, with her global mindset, she knew better than to be rigid or bossy: she quickly recognized the inclusiveness of Silicon Valley and took it even further, creating Women in Leadership to empower women because “in the telecom business, my peer leaders are all men.” Maya says, “I did reinvent the ways of working … by putting employees in prime focus, taking care of them, creating culture of support and risk taking, where mistakes are taken as a great learning and not a subject for retaliation.” Her support for diversity of thought resulted in great business results worldwide. 3.True grit: The Case of Wifag Mohammed. Wifag is a Founder of Haraza Organization for Peace and Development, an NGO. A film documenting her work in Darfur, Sudan, during the years of the genocide makes one’s hair stand on end: she worked directly with the victims living in the IDP camps, delivering women’s leadership workshops and spreading the ideas she picked up during her short study programs in the US. Providing materials for the International Criminal Court, she described the brutality of rapes and violence, thus helping to build the case against the Sudanese President accused in the Darfur genocide. This, however, led to her imprisonment, torture and exile. Now a refugee, she is undeterred and inspires others with her burning desire to continue education and work for the UN helping with Sudan’s post-conflict reconstruction. Wifag’s application for the Women Peacemakers program is pending in San Diego University. The USA is recovering from its economic downturn faster than other rich countries. To speed up this recovery, we need to choose our meals wisely—and embrace the healthy menu of jobs, global mindset, and true grit that many immigrant women—the leaders as well as struggling majority—bring to our table so generously.